What companies have gone through massive changes (i.e. business model, rebranding, renaming, …) and have come out stronger on the other side? And have been able to successfully bring their customers/community along? Anyone come to mind? Some interesting answers on this thread. Do you have any examples I should put on my radar? What’s your favorite song that you simply can not sit still to? Add in a comment below! Searching for article and book recommendations on the topic of "friendship". Thank you in advance for any possible shares! If I asked you to name one remarkable female founder of a NYC based company, who would you name? Hey world, where are you all marching tomorrow? Hey product tweeps: What software do you use for product/roadmap planning? Do you run a product company? What software do you use to plan your product roadmap? Care to share in a comment below or in a reply to the above Tweet? Thank you! Do you, or your company use employee review software that you think makes the entire process more efficient and useful? If so, would you mind to share your experience in a comment below or as a response in the Twitter feed? I am researching nonprofit organizations that bring art education to children. Do you know of any you're fond of? Earlier today I asked my tweeps about their favorite newsletters. I discovered so many interesting looking new ones in the replies. Do you have a favorite? What's the coolest swag you've ever received? What was it? What company gave it out? Ever gotten some swag that really made you go wow! And that you actually use? What was it? Who gave it to you? So many good replies already! Leave a comment below? Impromptu dance parties are happening more frequently at casa swissmiss these days, with disco light and all. And I find myself constantly looking for new songs to add to my playlist. What’s *the* song that will get you off your feet and onto the dance floor? Let’s start a YouTube-Link-Comment thread? YES? Hiring. It’s a skill. One gets better at it the more you do it. I’ve hired around 20 people over the past 3 years. And just slowly but surely I keep getting a sense what works and what doesn’t. I have realized that sitting down at a table for the interview is just plain awkward and so I’ve started going for ‘coffee run interviews’. I pay attention on how the candidate treats the barista, if he/she offers me the sugar etc. The little things. Also, when walking side by side, a conversation flows more naturally. What’s your favorite interview question? If you’re not someone that is hiring, can you remember a question that made an impression? I am currently researching ERP Systems for Tattly. Talk about growing up. ERP stands for Enterprise Resource Planing. Research in this space is quite overwhelming, especially, when you’re a small shop like me, but with ambitions to grow and eventually having multiple shipping locations around the globe. There are the big known systems like Netsuite, Sage or Microsoft Dynamics but I am hoping to stumble across a well designed system that is the Justworks equivalent of ERP systems. It is our goal to have all facets of our operations in one place to handle our order, inventory and warehouse management. As well as function as our CRM system, help us track our financials and overall planning. I was hoping that some of you, might have some insights and have gone through this decision process as well. If so, anything you’ve learned along the way? Any word of advice? Whenever I hear conference organizers talk about how hard it is to find interesting female speakers, I cringe. Would you mind to help me add to this list of female entrepreneurs? Obviously this list is just a start. Help me grow it by adding a comment below with female entrepreneur names and the company they started! Thank you! Team Tattly is currently researching packaging and POS system ideas. 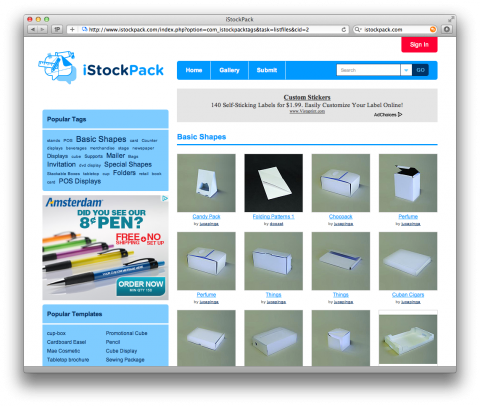 I just stumbled upon iStockPack, a site that lets you to download vector files of packaging templates. Question for my readers: Are there other similar resources out there that you can think of? Thank you! During an interview last week I was asked a question that had me stumped: “What are some tools for people who want to project a strong personal brand but can’t afford to hire a graphic designer?” Is there a tool out there? Did anyone ever write a basic DIY post on this that could be used somewhat universally? Any suggestions anyone? I find it an interesting problem! Kevin and I are researching songs with catchy lyrics entailing the word “Morning”. Any songs that come to mind and we should add to our list? Would you mind to share them in a comment below? Thank you so much! Chris Anderson (of TED) is declaring war on in-boxes with this recent blog post. He is asking use to help start an Email Charter. I am nodding in agreement. This autoresponder is an attempt in setting expectations right. Fact is: I get too much email and can’t keep up. My inbox has become my primary source of guilt. I promise I will try my best to get back to you as soon as I can. If your email is super-crazy important, meaning the internet might implode if I don’t write back, then please resend your email in a day or so, if you don’t hear back. The overall response to the auto-responder has been positive. Of course, I get an annoyed comment here and there, but it has helped me feel less guilty. Also, people have proven to be more understanding, less annoyed with my late or lack of reply. It’s obviously not an ideal solution, but better than nothing. What do you think of Chris’ idea? And his proposed rules? G and I bought a new apartment (yay!) that we now have to renovate. 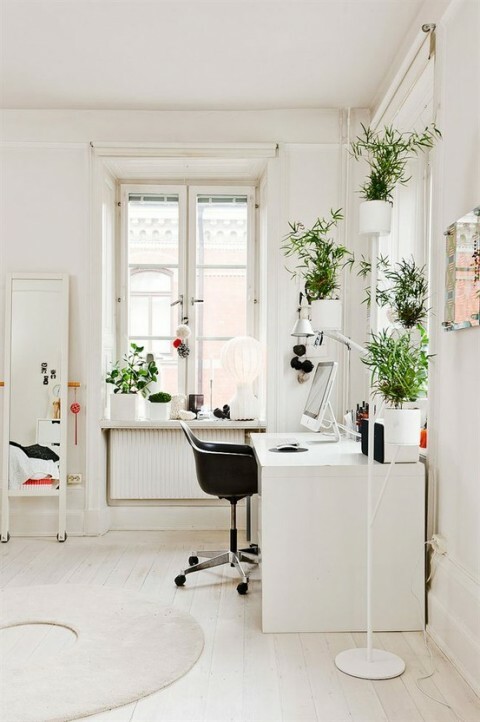 We are in total researching mode and I am obsessed with the idea of white-ish wooden floors. And this is where I am reaching out to you, my readers: Would you be able to direct us to pre-finished white-ish looking wooden floors similar to the ones pictured above? I am sure lots of my Scandinavian readers will have tips. I hope to find a wooden floor manufacturer that carries a similar type of flooring here in the US. By the way, the image above is from Unplggd. It is Lotta Agaton’s home and it’s making me swoon. Click here for more images. I am thinking of projects like my CreativeMornings or Teuxdeux. Then there’s Coudal’s The Deck, JewelBoxing and Fieldnotes. And then there’s Frank Chimero’s The Shape of Design, or Jessica Hische’s Daily Dropcap, Squared Eye’s Patterntap and so on. What side projects would you add to the list? Has anyone of you ever had a custom lapel pin made? If so, is there a company/service you could recommend? I am thinking about having one made for CreativeMornings. Please add your recommendations in a comment below. Thank you! What tools do you use (or know of) that help us in the quest to go digital and say goodbye to paper? JotNot iPhone App, basically a scanner in your pocket. Email your photos as a PDF, back them up with various different services like Evernote or fax them. Fantastic app, highly recommend it to turn that receipt, that you might otherwise lose, into a pdf and store it in your files. Don’t own one yet, but it’s on my wishlist: Neat Receipts Scanner and Filing Software. Online based Project Management Tool Basecamp keeps me from printing out documents, knowing they are all up there in the cloud, always accessible. Dropbox. Best $10 I spend every month. All my files, always synced on my various computers, at all times. As well always accessible on my iPhone and iPad. I have all my files on me at all times, at a click of a button. No need to print anything. Ever. Google Docs. I used to bring a print out of my Class Rooster to class every week to keep track of attending students. No longer. I now log onto my Google Docs account while in class, check the boxes and save. Voila. Done. What services do you use? Or dream of? What services does your company use to help you go digital? So, the other day I was talking with a friend of mine about the overall desire to go paperless. More and more companies try to print less in their day to day business but reality is, that a lot of large companies, are far away from going paperless. We are 8 people in our studio, 8 different businesses and hardly anyone ever prints anything here. (I am in charger of replacing the toner, so I know!) My friend told me that in big companies, paper still rules. So, we were thinking about solutions. What are specific steps companies/yourself are taking to go paperless? Are devices like the iPad helping? Are collaboration technologies the solution? Can you tell us how you do it? What your company does to get you to print less? What works?